A dead body is found in a coffin previously hidden under the floor in an old, supposedly haunted mansion. Questions swirl around its identity and what that means for Whit and his family. Another mystery spanning the first 5 books in the series is the meaning behind an old journal bequeathed to Whit by his grandfather and an ancient cloth that seems to have the power to heal. 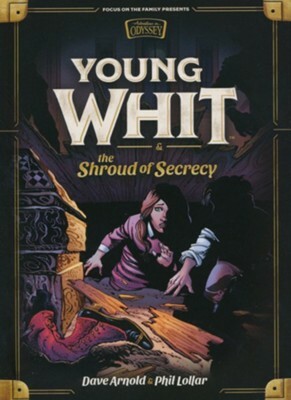 I'm the author/artist and I want to review Young Whit and the Shroud of Secrecy - eBook.